Jewish Home Ministers urge Netanyahu to bring proposal to normalize the status of Havat Gilad to a vote in the Cabinet. 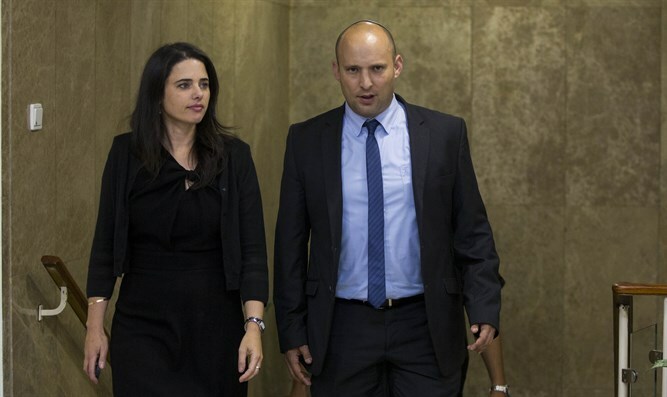 For the time being, although there is no reason not to bring the proposal to a vote among the government ministers, Prime Minister Binyamin Netanyahu has refrained from doing so. A number of ministers who tried in recent days to clarify the status of the decision were told that various examinations on the matter were still being conducted. Havat Gilad was the scene of a deadly terror shooting earlier this month. On January 9, Arab terrorists gunned down Rabbi Raziel Shevach, a 32-year-old father of six from the community. Rabbi Shevach was murdered just a few hundred yards from his home in Havat Gilad, which was established in 2002 by veteran activist Moshe Zar, a year after his son, Gilad, was murdered on the same site in another terror attack. Since its establishment, the status of Havat Gilad has been disputed, labelled an “illegal outpost”, and subjected to multiple evacuations. Last week, following the completion of his ministry’s review of the issue, Liberman submitted a proposal calling for a government decision establishing a new town in Samaria to house Havat Gilad’s residents – legalizing part of the existing town, while apparently requiring some residents living on contested land to relocate. At the last cabinet meeting, due to the visit to Israel of U.S. Vice President Mike Pence, Netanyahu asked, in consultation with some of the leaders of the settlement enterprise in Judea and Samaria, to postpone the discussion for a week, but it is not clear whether the proposal will be discussed at the upcoming meeting.